View More In Rubber Stamping. Stationery lovers, paper crafters, hand-printing enthusiasts and anyone looking to make personalized gifts will love the simple, colorful projects found in Put Your Stamp On It. 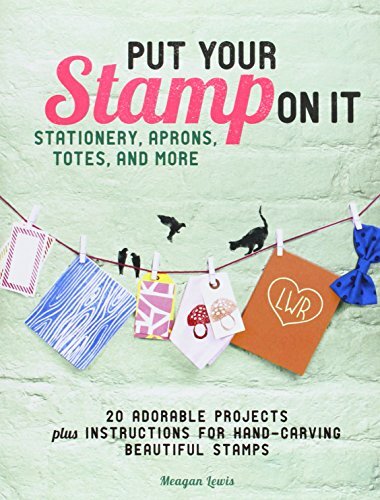 Irresistibly cheerful, this book offers step-by-step instructions for hand-stamped gift wrap, tea towels, totes, aprons, and even hair accessories made with reverse printing, layering, borders, and more! Charming illustrations and vibrant photography inspire an endless variety of stamped creations. Best of all, the book includes directions for carving handmade rubber stamps to print on wood, fabric, and paper for a truly personal touch. So go ahead—put your stamp on it!